Today, Overhead Door Corporation is one of the most-recognized and respected brands in the garage door industry. With their nationwide network of more than 450 authorized Ribbon Distributors, they are a leading provider of overhead and garage door systems, and continue to lead the way with innovative solutions and unmatched professional installation, service and support that keeps customers coming back. 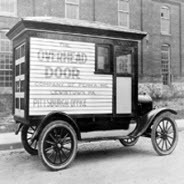 Family owned since 1985 and an authorized Ribbon Distributor since the 1950's, Overhead Door Company of Birmingham is one of the oldest distributorships in Overhead Door Corporation history. Additionally, we are consistently one of the largest distributors of Overhead Doors, having received multiple Eagle Awards, which recognize Overhead Door distributors for strong performance and productivity. We offer a complete line of residential, commercial and industrial garage doors, operators, and dock levelers. 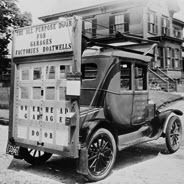 We also offer garage door service on most brands of garage doors and operating devices, including replacement of broken torsion springs and broken extension springs. Contact us using the form to the right to get more information!